I’ver recently begun diving into Electronics and Circuitry and wanted to pick up a book to become more acquainted with the concepts. 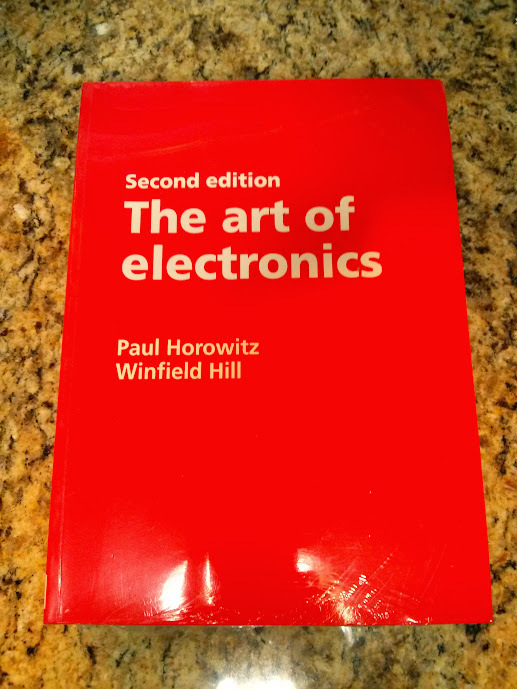 The internet seems to be an agreement that “The Art of Electronics (2nd Edition)” by Paul Horowitz and Winfield Hill is the authoritative book on the subject, but a brand new hardcover copy from Amazon will set you back close to $100 USD. I found a lot of overseas booksellers on EBAY who claimed to have the same book for around $30. After reading the descriptions, it turned out they were actually selling the Internation Edition. What the heck, ordered. I ordered the book in the middle of the day on Friday, and to my surprise had it on my doorstep Monday! I’ve included pictures to show the book build and print quality. I don’t have access to a US Edition of the book, but apparently it’s all the same content, just printed on less expensive material, and in paperback. Also, it’s freaking red. Overall, it’s fine, and exactly what I wanted.